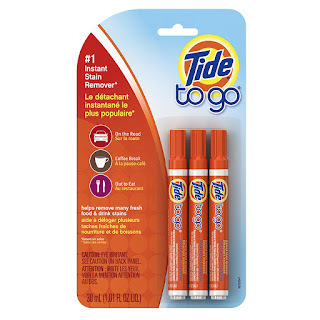 Right now over at Amazon.com you can score THREE Tide To Go Pens for just $4.69 shipped when you clip the $1 off coupon and opt to Subscribe and Save. That makes each pen just $1.56! Each Tide To Go pen is small enough to fit into your purse, diaper bag, desk drawers or anywhere so you can eliminate fresh food and drink stains on the spot! My daughter has one that she keeps in her backpack and she recently told me that she has been able to help many of her friends with stains throughout the day.